This questionnaire is about a proposed Selective Licensing scheme which aims to support landlords in providing safe, well managed homes. Please note: This questionnaire is for people who live close to the proposed Selective Licensing area and for other stakeholders and agencies. It is not for people who live in the proposed Selective Licensing area itself. There are specific questionnaires for people who live in the proposed Selective Licensing area. Please read the Selective Licensing Consultation Leaflet before completing this questionnaire. 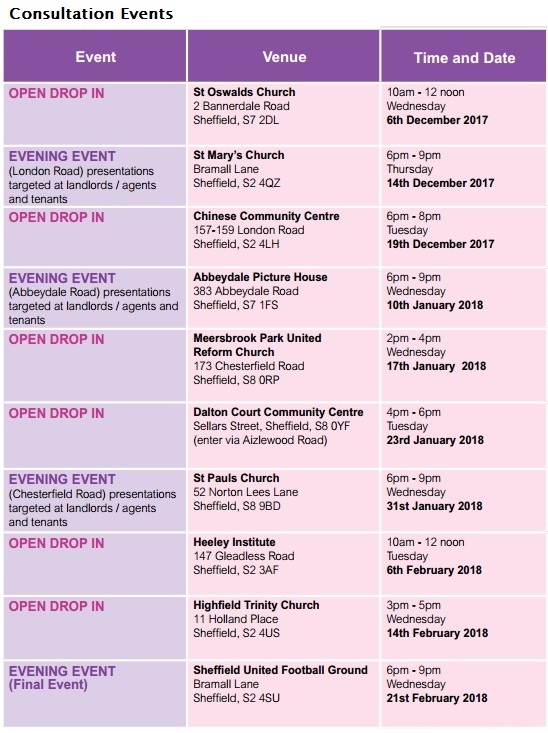 If you need this questionnaire in an alternative format (including a different language) please contact Private Housing Standards at Sheffield City Council on 0114 273 4680 or email selectivelicensing2017@sheffield.gov.uk. We will use your answers to wrie a report summarising everyone's responses. We won't let anyone know what you have said as an individual and we won't share the personal information that you give us with anyone. We will use your address to confirm that you are in the wider consultation area an to keep in touch with you about the scheme's proposals. This questionnaire will take approximately 10 minutes to complete. If you experience any problems filling this in using Internet Explorer try using another browser, e.g. Google Chrome. Thank you for your answers – your help is much appreciated. If you are a tenant or resident, landlord/agent or business in the proposed Selective Licensing area, please follow this link to access the questionnaire for you.